Add pizzazz with this succulent ground cover that keeps on blooming from spring until fall. Deep fuchsia flowers open in the heat of the day for a burst of color and close again in the late afternoon. 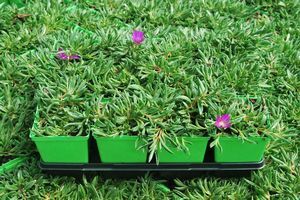 Bright green foliage reaches a 2” height and creeps into cracks, hangs over walls, and spills out of containers. 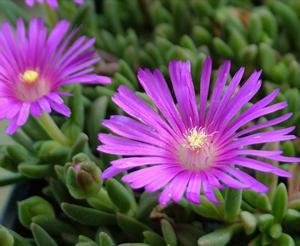 How is it that “Ice” plant is so heat and drought tolerant?